But what is an "antique firearm"? The term "rifle" means a weapon designed or redesigned, made or remade, and intended to be fired from the shoulder and designed or redesigned and made or remade to use the energy of an explosive to fire only a single projectile through a rifled bore for each single pull of the trigger. The term "short-barreled rifle" means a rifle having one or more barrels less than sixteen inches in length and any weapon made from a rifle (whether by alteration, modification, or otherwise) if such weapon, as modified, has an overall length of less than twenty-six inches. Short-barreled rifles are ILLEGAL is the state of Washington (RCW 9.41.190). It is a class C felony to have one in one’s possession. 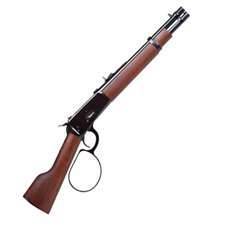 The term "shotgun" means a weapon designed or redesigned, made or remade, and intended to be fired from the shoulder and designed or redesigned and made or remade to use the energy of an explosive to fire through a smooth bore either a number of ball shot or a single projectile for each single pull of the trigger. The term "short-barreled shotgun" means a shotgun having one or more barrels less than eighteen inches in length and any weapon made from a shotgun (whether by alteration, modification or otherwise) if such a weapon as modified has an overall length of less than twenty-six inches. Short-barreled shotguns are ILLEGAL is the state of Washington (RCW 9.41.190). It is a class C felony to have one in one’s possession. 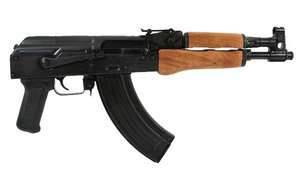 (b) Any combination of parts from which a firearm described in paragraph (a) can be assembled. What is a "curio and relic" (C&R) firearm?